Carmel, IN – Neighbors Selling Their Home? Spring is on it’s way in and along with that gorgeous Carmel, IN spring weather we will also begin to see a ramp up in homes for sale. Springtime is known as the best time to list your home for sale in Carmel, IN and 2016 is no exception. Many homes have come on the market in the last few weeks and this will continue for some time. If one of your neighbors has recently listed their home for sale there is some studying you should do to prepare yourself and your home for a future home sale. Be the nosy neighbor at the open house. Be nosy, well, not that nosy. There is plenty that you can learn by asking your neighbor what kind of feedback they are receiving from their showings and open houses. 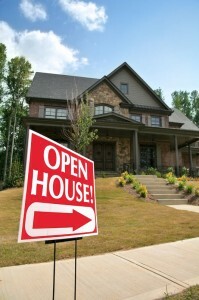 Or, you can ask to attend the open house and see how prospective buyers are reacting to their home. Chances are their home is pretty similar to yours and you will be able to gauge what you may need to change about your home prior to listing it on the Carmel, IN real estate market. Did the house sell, and how fast? Its easy to get hung up on the number the home is listed for, but, the more important number is how much it actually sold for. A home priced right will sell quickly and an over priced home may take some time and several price changes to finally sell. Once your neighbor’s home sells, compare the sale price and the amount of time it took to get a better idea on where your home may be priced. Timing is everything. As we previously mentioned spring is a very busy time for real estate in Carmel, IN. If you aren’t ready to sell this spring consider getting your home ready over the next year or so to focus on next year’s spring market. Should you need to sell sooner, fall is a great time as well. We’d be happy to work with you to give you a comparative market analysis of your home and speak about timing your sale just right. A Carmel, IN real estate agent will have their finger on the pulse of the market and know the best way to proceed. We hope to hear from you soon. Contact a Carmel, IN real estate agent today!